Dr. Michael Kalafatis recently received a three-year unrestricted grant from the Parker Foundation in the amount of $1.2 million to support his research related to a treatment for cancer therapy. Dr. Kalafatis and his colleagues will use the funding to conduct a series of experiments in order to investigate apoptosis, or normal programmed cell death, in cancer cells. Their work will include testing on several tumor cell lines in vitro and in mice, in combination with several molecules that promote apoptosis by inhibiting cell survival. Dr. Kalafatis is a Professor and Associate Chair in the Department of Chemistry. He is also a member of the Center for Gene Regulation in Health and Disease (GRHD). 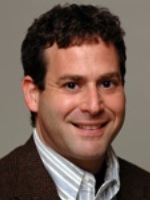 Dr. Andrew Resnick, assistant professor in the Department of Physics, is the second recipient of a Faculty Innovation Fund (FIF) award for his proposal, "Microperfusion Tissue Interrogator: platform technology development." Dr. Resnick's FIF award is the product of a multi-year collaborative process involving Cleveland State University, Case Western Reserve University, and BioEnterprise. The FIF award will support research led by Dr. Resnick in order to manufacture working prototypes for the Tissue Interrogator, an instrumented device for culturing small numbers of epithelial cells. Dr. Resnick recently worked with Robert Brown in the Technology Transfer Office to file a provisional patent on this innovative platform technology. Data obtained from the prototype devices will be used to support a utility patent application through CSU, to attract start-up funding from the local biomedical device community, and to develop the technology into a commercially viable product that will be of interest to drug companies, bioterrorism agencies, and biomedical researchers. The Selection Committee reviewing Dr. Resnick's proposal consisted of Distinguished Faculty, representatives from the Office of Research and the Technology Transfer Office, external members from MAGNET, JumpStart, and Case Western Reserve University. The Office of Research congratulates Dr. Resnick on his successful FIF proposal, and wishes his research team the best in their work on this exciting project. In five books and dozens of articles, Samantha Baskind, professor in the Department of Art, aims to shape the nascent study of modern Jewish art across borders but most often in America. 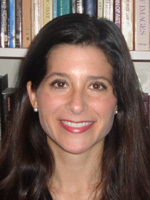 To that end, in her most recent book, Jewish Artists and the Bible in Twentieth-Century America, Dr. Baskind analyzes biblical paintings, sculptures, and prints in several Jewish American artists' work, questioning and analyzing how this subject matter fits into the artist's larger, more secular oeuvre. Concurrently, Dr. Baskind tries to expand and complicate the canon of American art, and to flesh out connections between the Jewish American experience and cultural representations. The research needed to write this book was supported by two internal awards, a Faculty Research and Development award and a Faculty Scholarship Initiative award, as well as external grants from the Memorial Foundation for Jewish Culture, the Hadassah-Brandeis Institute, and a yearlong National Endowment for the Humanities Fellowship. Please share with us important news or updates on your research, scholarly, or creative activities. Updates may be related to a paper that has been accepted for publication in a high-impact journal, a book you've just published, your work that will be exhibited at a prominent institution, or other updates you wish to share with our office. Send details to j.yard@csuohio.edu and c.mclennan@csuohio.edu. Fifty-eight proposals were received from seven colleges with requests totaling $528,433 for the Faculty Scholarship Initiative (FSI), Faculty Research and Development (FRD), and Dissertation Research Award (DRA) internal funding programs. Proposals are currently under review and award decisions are expected by May 9, 2014. The Office of Research would like to thank Members of the University Research Council who have been working hard to provide thoughtful, quality reviews for all 2014-2015 FSI, FRD, and DRA proposals. Dr. Peter Bubenik's research is the focus of the latest installment of the Featured Researcher Video series. Dr. Bubenik is an Associate Professor in the Department of Mathematics in the College of Sciences and Health Professions. Dr. Bubenik's research interests include applied topology, geometric statistics, and model categories. We encourage you to learn about Dr. Bubenik's work, including his work on the persistence landscape, and to take a look at our previous Featured Researcher Videos. Recent Patent Law Developments: On March 31, 2014, the U.S. Supreme Court heard oral arguments in Alice Corporation Pty. Ltd. vs. CSL Bank International, Supreme Court Docket No 13-298 (2014). Under U.S. patent law, Section 101 provides the types of inventions that are eligible for patent protection. While most new and useful processes, machines, manufactured products, or composition of matter are patent eligible, the Supreme Court has interpreted Section 101 to limit the patent eligibility of abstract ideas and laws of nature for example. At issue in this case will be the fundamental question of whether software and business methods are patent-eligible subject matter within the meaning of 35 U.S.C. sec. 101 or alternatively are considered abstract ideas and not patent eligible. A decision is expected by the end of June 2014. For more information, please contact Robert Brown, Director of the Technology Transfer Office. Cleveland State University will host an information session presented by staff of the GLIDE (Great Lakes Innovation and Development Enterprise) Innovation Fund on Wednesday May 28, from 1:00 pm - 3:00 pm. CSU is a partner of the GLIDE Innovation Fund. The innovation Fund provides grant funding to start-up business enterprises in Northeast Ohio. The grants available include an 'A' award for up to $25,000 (for technology validation) and a 'B' award for up to $100,000 (for business model validation). Information and registration instructions are available on the GLIDE Innovation Fund website. If you have any additional questions, contact Dr. Mark Dobeck at m.f.dobeck@csuohio.edu, or Robert Brown at r.j.brown45@csuohio.edu. Take a look at previous editions of our newsletter. For a printable PDF copy of this newsletter, click here.